Service News from 1971. XS1 XS1B XS2. Parts News from 1971. Various changes for XS1 XS1B XS2. MikesXS have never been my friends. Poor product quality control. Marginal materials. But, they were there. Many XSes simply wouldn’t be running without the passion Mike Lalonde brought to his business. Time doesn’t stop (in a ‘normal’ world). When our universe ceases to exist in the ‘reality’ we experience, time, as we (mis)understand it, wont. We get older. Our priorities change. We move on. This has happened to MikesXS. Mike had other plans for his life. As it should be. The business was sold. And we, as consumers had high hopes. Of improved quality control. Of better customer service. Of continued access to parts. And what have we got? I don’t know about you but I have heard no end of owners grumbling. My order hasn’t been filled. Or only partially filled. Parts on backorder. Mikes are ‘awaiting a large order currently on the docks’. The list of unavailable parts seems to get longer, not shorter. In the 70’s I was interested in a career in finance. Economics was, and still is , a fascination. What eventually soured me was a takeover (of the company I worked for) by Asset Strippers. They sought private and public companies with market or share values lower than their toal asset value and simply stripped them. Sold the existing stock. Sold the assets. Split what was left into smaller Business Units and laid everyone else off. Fortunes were made by the few. Families and whole communities were destroyed. Real progress! And it hasn’t stopped. Wont, until blood starts to flow. die neuen Besitzer von MikesXS in Florida haben leider die Ersatzteillieferungen an mich eingestellt , es zeichnete sich schon kurz nach der Übernahme des Geschäftes eine Verschlechterung ab, teilweise bekam ich nur knapp 50% der bestellten Teile geliefert. Bei Nachfrage in Florida wurde mir mitgeteilt das MikesXS keine Teile mehr von dem Hauptlieferanten aus Taiwan bekommt ( keine Ahnung warum ) und sie somit die Lieferungen an Ihre Vertriebspartner in Japan und Europa einstellen . Ich werde nun zusammen mit Heidentuning die benötigten Teile in Eigenregie importieren. Das ein oder andere Ersatzteil wird somit sicherlich kurzfristig ausverkauft sein aber es kommt wieder rein. Sounds like some underhanded dealing happening behind the scenes somewhere … ? ?bills not being paid by the new owners?? … ? ?setting the scene for massive price hikes?? … ? ?deliberate minimal shelf stocking?? … ? ?cashing in on existing stock to pay their own bills?? … cant at all imagine Rüdiger or Jerry not paying their bills-be like shooting themselves in the foot. Asset Strippers at work here? Locusts? An attempt to cut Jerry and Rüdiger out of the profit chain? I don’t know. I do however have a distinct sense of déjà vu. Guess we will have to wait and see. I like these bikes. Had a chequered history. Responsible for the first major motorcycle recall in Europe. Unfortunately motorcycle specific oils weren’t then available. Yamaha simply got too far ahead of itself. Later TX750’s had enlarged sumps, adjustable balancer chains, oil coolers, different gaskets, modified chain adjusters and many other smaller modifications. Positive Crankcase Ventilation system with fumes re-directed to the airfilter box. Lead-free petrol compatible valve seats. 2 were made over by Porsche. For the 73 racing season. Ran twice. Bol d’Or 24, Le Mans. Thruxton 500, UK. Neither completed the Bol d’Or. Apparently the Porsche engines vibrated worse than the wifes stand-by. Yamaha prepared engines were quickly mounted. One was dropped in the rain. Cam chain sucked a kumara on the other. Compression and race-cam valve lift. 6th at Thruxton. When an individual, usually a young pre-teen girl, decides to “save herself” for Edward Cullen, forgetting he is a fictional character.These individuals are usually found in groups, and can be heard screaming at the mere sight or mention of said fictional character. The slightly painful tingling, itching, arousing feeling felt in the balls when thinking about, watching, or hearing the “dog-in-a-tub” sexual manoeuvre being performed. Originally these were 2 stroke, pistons travelling together, sharing a common combustion chamber. One cylinder was responsible for intake. The other for exhaust. When more than one exhaust pipe was used, they came from the same cylinder. 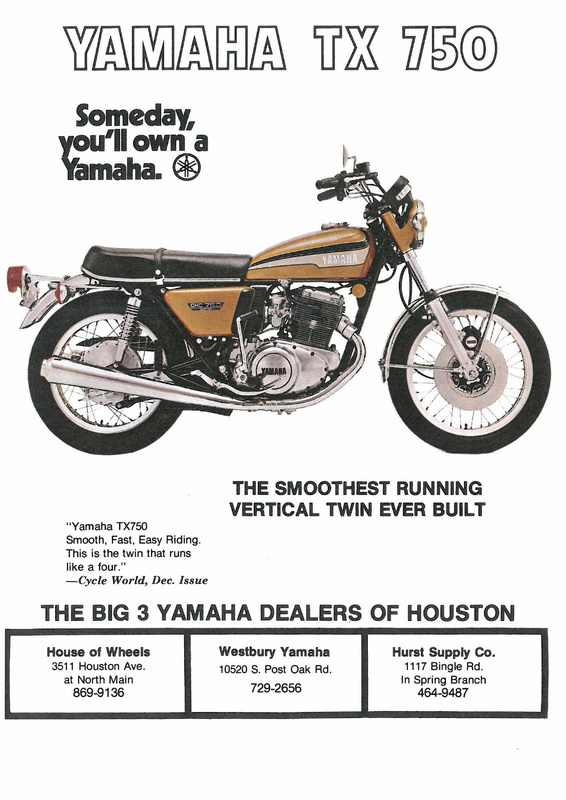 This became popular in flattrack racing. ‘Big Bang’ engines. Due to the recovery gap. Banned in ’07 (AMA). Harley riders will tell you this was because of the cost of replacing parts. More likely the Harley lobby was concerned about losing it’s advantage. Twingling is easily done on our XS650s. A matter of replacing the cam. Ignition is already wasted spark. A while ago I picked some rather tasty finned covers up from The Greensand Foundry. Look good on the XS. They’ve been busy lately. Alongside single carb manifolds they’ve extended their catalogue. These are cast. In his small workshop. A one man band. click on: ‘Angebotene artikel’ or ‘Items for sale’ … found in the profile box where the seller can post his photo if desired. Tomorrow, Sunday Oct 23, is the 2011 Rugby World Cup Final. My country has played through. To face their nemesis. France. A ‘grudge match’. The Haka. A Celebration. A Challenge. A Greeting. The Battle to come. Just don’t attempt to perform one in Utah. The pigmen will pepper-spray and baton you. although the 2011 semifinal haka against Australia came close. Here, NZ Maori aggressively faced down by Tonga. Go Ikale Tahi. In 2007 a mate flew out from home. We took my bikes (XS650, SR500) on a World Cup joy ride through France. Rugby town to rugby town. Happily ‘Pannenfrei’. Caught the Haka in Marseille. Beautiful sunny day. Lyon. Toulouse. Enjoyed many other pool games – two of the most memorable being Tonga almost taking out South Africa, Lens. And England, Paris. This year I have enjoyed the competition from the comfort of my local Irish Pub. Thanxs team for going out of your way to open at 07.00 for many of the games. There were no losers in this game. The All Blacks claimed the cup. Les Bleus proved to the world and themselves what the All Blacks have known for years. Don’t underestimate them. And I got to watch wonderful rugby with a pub full of french supporters. Nailbiting to the end. Man of the Match, Thierry Dusautoir. It will be interesting to observe what the next few years bring. Henry, Deans, Gatland, de Villiers, Lievremont among others may all be looking for new jobs.